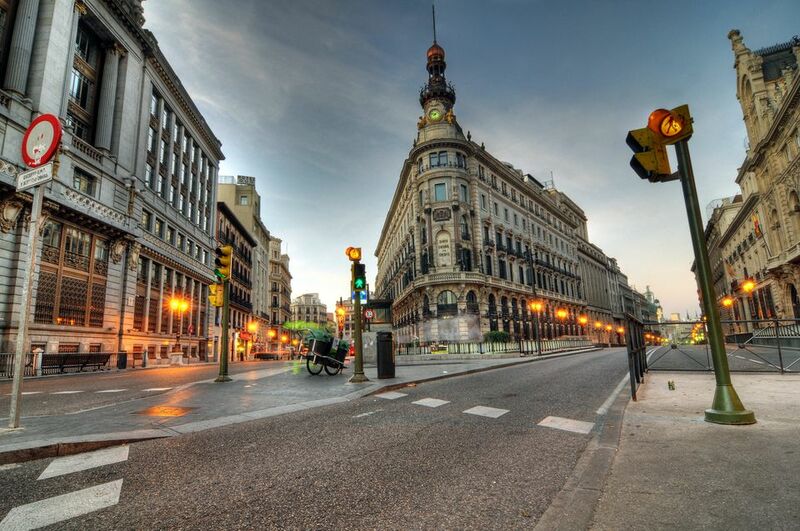 Get details on how to get from Malaga to Madrid in Spain by bus, car, train, and plane. Traveling straight from Madrid to Malaga causes you to miss out on so many worthwhile stops en route. Seville, Cordoba, and Granada are all more interesting cities than Malaga and should be included on your itinerary if possible. For the quickest and most convenient stop en route, consider a stop in Cordoba: the home to the epic Mosque-Cathedral is on the AVE train high-speed train line from Madrid to Malaga and makes a great day stop on the way between the two cities. The train from Madrid to Malaga takes about two-and-a-half hours. This is the quickest and most convenient way to get from Malaga to Madrid as you don't have to mess about with check-in times at the airport. The train will also be cheaper than flying if you are making last-minute travel arrangements. There are regular buses throughout the day between Malaga and Madrid. The journey takes six hours and costs under 25 euros. This is the cheapest way to get to Madrid from Malaga, but it is also the slowest. Buses from Madrid to Malaga depart from Mendez Alvaro bus station. Trains from Madrid to Malaga depart from Puerta de Atocha train station. The bus and train station in Malaga are side by side. The 540km drive from Malaga to Madrid takes about six hours, traveling mainly by the R4, A4, A44, and A92 highways. A flight from Malaga to Madrid takes about one hour, but remember that check-in times and actually getting to the airport will make your total journey time similar to taking the train. If you can book in advance, flying should be cheaper than the train.